Working in an office environment can be an intimidating thing; we’ve got to put up with the so-called experts in their field, as well as office politics. And when we find ourselves in a conflicting environment, it can weigh very heavy on our heads. 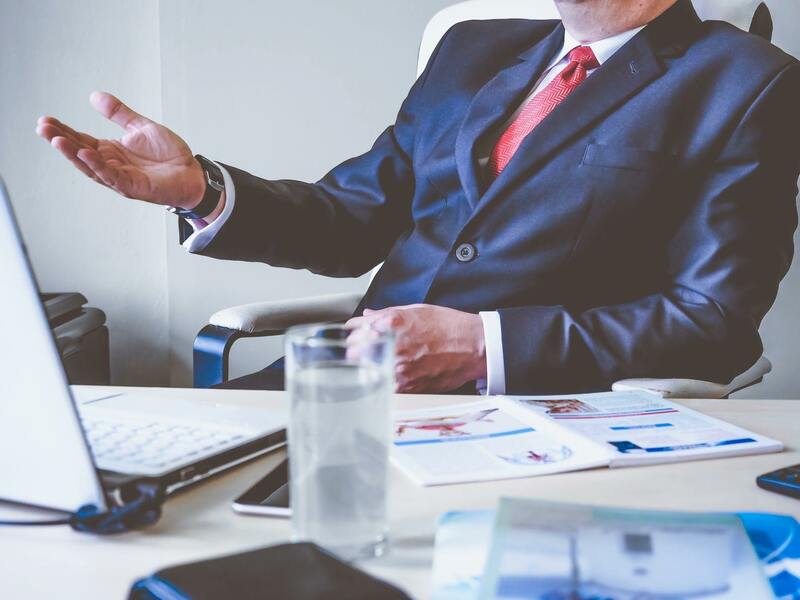 Your relationship with your boss is a very good example, because they may be a personality that feels, to get what they want, they’ve got to be belittling, or in many ways, a bully. But what happens in this environment if you suspect someone in charge is singling you out or making your life miserable? It’s very important that we take a subjective view of things. We could feel like we’re being singled out, but is this actually the case? We’ve got to take a step back and evaluate the situation and spend some time seeing if they are singling you out for a specific reason, or if it’s their unique problem. That’s not to say that it isn’t difficult, especially when we feel like we’re being picked on, but if we can take that opportunity to step away, look at the evidence, and come up with the real answer, it will help us take the next step. This could be confronting them about it or gathering evidence. We have to gather evidence over time, and it has to be very specific, especially if it’s someone in a position of power that you’re making serious accusations towards. If you’re taking the legal route, there are many law firms that specialize in whistleblowing, such as https://thehadleylawfirm.com/, and they will want to see factual evidence. This means dates, times, and the circumstances of each situation. As soon as you’ve built up a substantial case against the person in question, you can go to them or above them with the proof. Do You Need To Be In This Situation? From a personal perspective, it’s a very difficult dilemma. If this is been going on for months, or even years, you might feel that you’ve got to a point where you have no option but to leave. But on the other hand, if this is a career you fought hard for, it can be very heartbreaking to feel like you have to give it up. In stressful working environments, people can lash out, and if it’s a case that they are just not thinking about what they doing, you have no option but to bring this up with them. The big problem we have is that when we aren’t in a position of power, we feel like we have no way of addressing this, for fear that it compromises our job. But it can’t compromise our life. We can agonize over these things outside of working hours, and it couldn’t really wear us down. Stress and anxiety are common, even in the best workplace environments, and on https://www.themuse.com/ there are some suggestions to help you beat workplace anxiety. If our superior seems to be singling us out, it can feel like it clouds over our entire lives, but you must remember you have your own rights. Don’t be afraid to assert them.